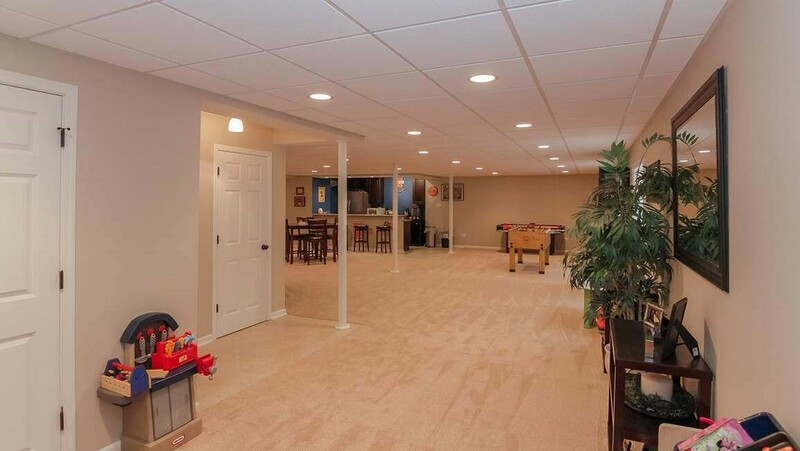 For durable, elegant, and moisture-resistant flooring, trust Matrix Basement Systems, a team with 3,500+ basement remodels completed! 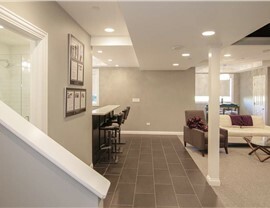 All types of residential flooring are exposed to their fair share of wear and tear, but basement flooring has to be especially tough. 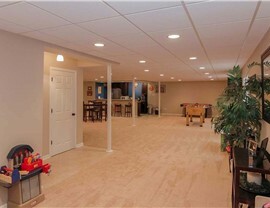 If your unfinished basement floors aren’t living up to the daily challenge, contact the Ann Arbor basement flooring professionals of Matrix Basement Systems! We’ve remodeled more than 3,500 basements throughout the region, and we’d love to update your floors to something more stylish, durable, and moisture-resistant. 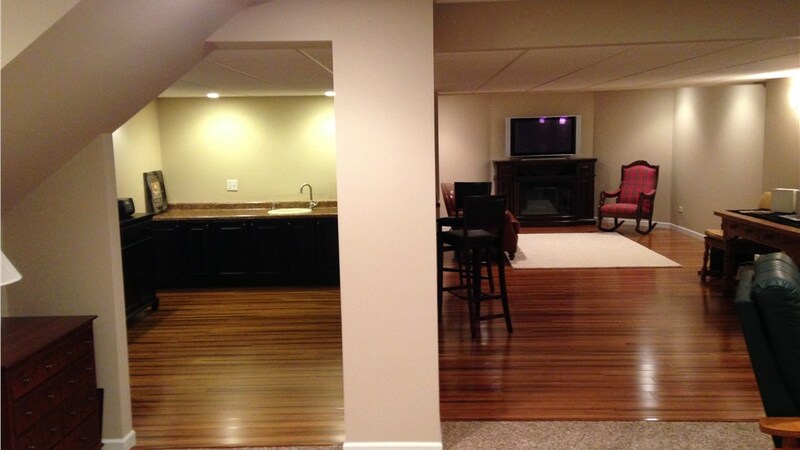 Our Ann Arbor basement flooring can be designed in your choice of material and overall aesthetic, from high-end hardwood to plush carpet. Whichever flooring style you prefer, we’ll start by installing a protective layer of Tyroc subflooring—a durable material that blocks out moisture, heat/cold, and noise. Our Tyroc flooring system requires 35% fewer panels than most systems, which allows us to lower the total basement flooring installation cost and save you money. The extra layer of all-in-one underlayment and subflooring will contribute to a more comfortable, ergonomic under-foot feel. 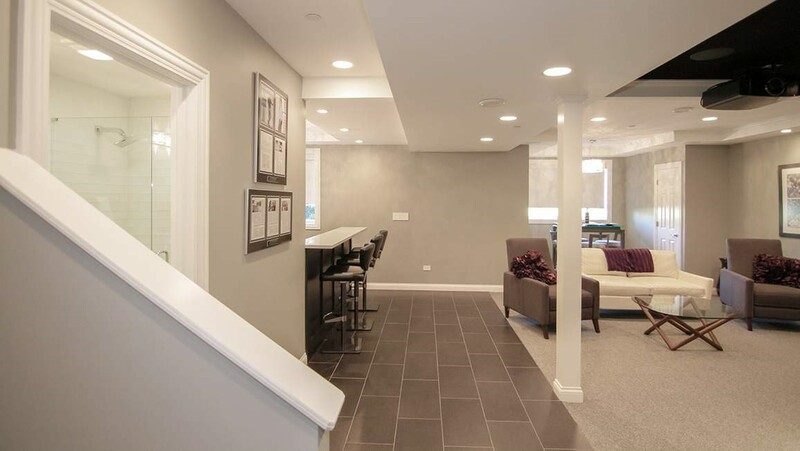 Whatever your priorities or goals might be for your Ann Arbor basement flooring installation, Matrix Basement Systems would love to be your partner in achieving them for a fair and affordable price. As a BBB-accredited business and a member of the National Association of the Remodeling Industry, we go above and beyond to bring our customers’ basement refinishing dreams to life! 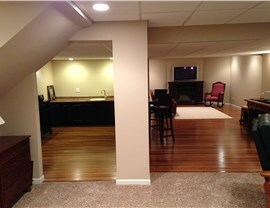 Call our experienced Michigan basement remodel team to find out more today. You can also sign up for your free consultation and detailed cost estimate by submitting our online form at any time.